Create a striking piece of abstract art with a few simple materials. The colour is created with permanent markers so best done in a well ventilated area. 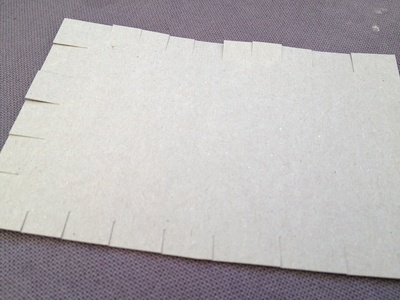 Cut your card to the desired size and cut small slits all the way around. Thread one end of the string through a slit and secure with tape to the back. 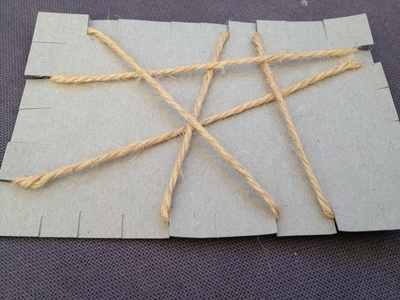 Wrap the string around the card through the slits to hold them in place. Go in different directions creating an abstract pattern. Secure the other end with tape at the back. 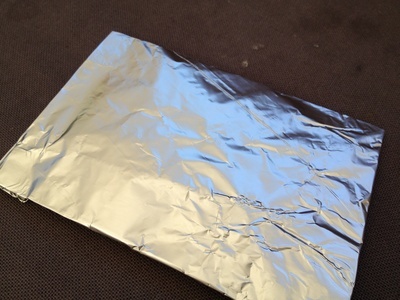 Place a piece of aluminium foil over the card, shiny side down. It should be a little bigger than the card so you can wrap it over at the edges. 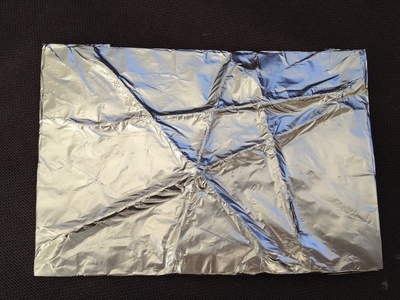 Gently press down over the foil, smoothing around the string which will create a raised pattern. Colour in the gaps with marker pens. 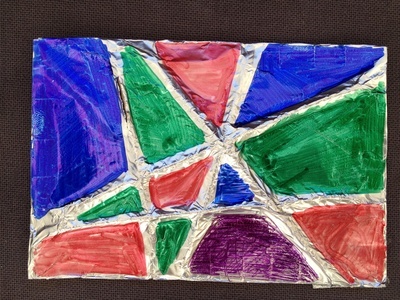 You could mount this abstract art onto a plain card to make an unusual greeting card. If you'd like wavy lines, an adult could try the hot glue gun technique. Have a look at this idea from MyKidCraft writer Monsta.